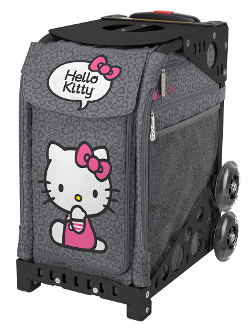 ZUCA Hello Kitty Leopard Insert. Hello Kitty's subtle leopard print Insert is super-sweet with an edge! Frame sold separately. Includes mini pouch, while supplies last.